Camping is full of fun. Sleeping in the outdoors and getting away from the hassle of your daily grind is so much refreshing. That is not all, there is plenty of time to enjoy leisure and play games. It’s a great time to try new activities. Plus getting back into hobbies you used to love. Here are some cool camping ideas to make sure you never have a dull camping trip again. There are a few things you need to consider when going out camping. You need to make sure that you camp in a secure place where you will not be prone to accidents or injuries. Take note of the following as you embark on your camping site. The preferred location to set up camp in most areas will be flat. It should not be too bumpy and with good drainage. Avoid setting up camp under a tree.The tree sap and twigs will damage your tent. Remove any debris from the ground such as rocks,branches, and twigs. You can use a footprint or a rug to help protect the tent floor from the rubble. You will have to place it on the ground before the tent. This will also contribute to keeping ground water from seeping in. Endeavor to set-up your tent according to the installation menu. When it’s windy, mosquitoes do congregate on the lee side of objects,so to avoid getting blown away. So do pitch your tent door into the wind. You’ll be in a position to enter without bringing the swarm with you. One of the essential things to remember when camping is protecting food from spoiling and unwanted critters. It isn’t just a nuisance if you leave food out, but it also aids wildlife to become dependent on humans. See our review of the top bear canisters to keep hungry bears away from your camp. If camping where bears maybe present, it is paramount. Bears have the ability to smell food from miles away.The last thing you would want while trying to enjoy the great outdoors is a visit from a neighboring bear. Another reason food storage is important is protection from unwanted bacteria. 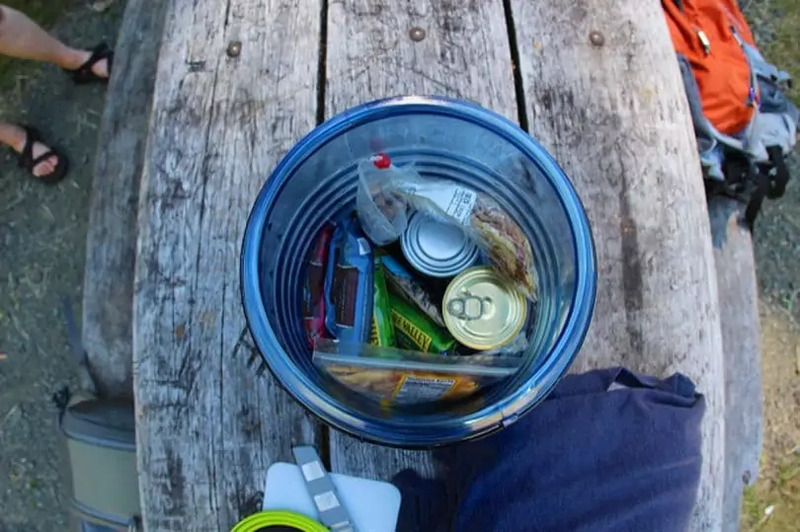 The most convenient foods to bring while camping are non-perishables. But if you plan to bring perishables have a cooler with plenty of ice to keep items cold. Fire is a necessity when camping, whether it is to heat up food or heat during a cold day or night. When setting up a fire, it is suitable to utilize an existing fire ring compared to starting a fresh one. If no fire pit or ring is in place, dig a hole in a location that is at about 15 feet from any tents or nature. See our tips on how to properly start a campfire for more safety. Before preparing the fire, clear a ten-foot diameter surrounding the fire ring. If the fire ring is not on sand, gravel or raw earth makes ensure that the ground is damp then you can start a fire. It is always best to check the rules out where you are staying before starting any fires. When cooking there is always an option of using a gas stove. Some campsites even come with a designated cooking station. When preparing your campsite, it is extremely important to remember to lessen your impact as much as possible on the surrounding land. Try to find a site which is already made rather than making a new one. If one that is not already made is your available option, try to set up your tent on gravel, sand or a durable surface. Be considerate and respectful of the nature around you. Plus make sure always to clean up any garbage that you brought in. After setting up camp, what remains is making it a worthwhile experience. To enhance your camping experience, here are some fun camping ideas. Having a stockpile of games for sunny outside days or rainy inside days at camp is a good idea. Go with some board games, puzzles, old decks of cards, skipping ropes, frisbees, balls or anything else you have that can keep you occupied and busy. For couples, try out our fun camping games for couples to have a wonderful time with your partner. What better time is there to play games than while out camping? There aren’t as many distractions such as televisions and computers. Games are entertaining and promote cooperation and family bonding. Card games can be a perfect treat for camping. Cards are easy to pack, and you can also slip them into backpacks for easy access. More card games suitable for camping are Uno, Phase 10, Fluxx, Rook, Old Maid, Quiddler, and Apples to Apples. Games including charades and I Spy are ideal. You don’t have to carry anything with you to play them. Board games are fun to play while camping, especially if you have a picnic table or other place to play. Be careful because the pieces are easily lost in the outdoors. Carry some paper and a pencil. You will use these to play Hangman, Tic-Tac-Toe, and Dots. Skits are great fun regardless of age. They can highlight, explain and enhance your camping experience making it more fun. Get a few topics with some guidelines for how long it will involve the skit to be accomplished. There is a great pleasure from doing some crafts at camp. Choose crafts that work with you and suitable for your present condition. Allow enough time for you to enjoy. Always keep the crafts simple if your campsite does not have power and that the supplies fit your budget. Another splendid idea to spend time camping is improving your skills. You can engage in activities that help us learn new skills and hone old ones. What better way to spend leisure knowing that you will come out an expert at the end. Now that you are outdoors, you can try your luck at making a fire. Camping expeditions and fires are inseparable. Fire helps you prepare meals and keeps you warm during the night. The three types of materials you will need for a fire are tinder to start it, kindling to help the firewood catch and wood. For tinder, try to find the smallest, driest materials you can. Birch bark is an excellent fire starter including shavings from soft wood, like pine or cedar. Kindling needs to be little sticks that will catch fire quickly from the tinder. For firewood, use large pieces to produce a long-lasting fire. Whatever arrangement you use when building your fire, make sure the air can get in and around the wood. Light your match close to the fire so that it will not go out in quickly. Place the match at the bottom of the tinder, as the flame will travel upward and light the materials on top. Then gently lay the bigger pieces of wood on the fire as the smaller ones burn away. Putting too much wood can smother it, and it goes out. Make sure anything flammable like your pile of firewood oryour clothing is away from the fire and any sparks. Tie back long hair into a ponytail to keep it away from the fire. Be careful of clothing, especially sleeves, when reaching toward the fire. Roll them up. If you’re cooking, be sure to have plenty of pot holders handy. Make sure everyone knows the “stop, drop, and roll” rule. Do not put grease on the fire, it could easily flare and spread unexpectedly. Do not play with the fire. If you accidentally burn yourself, immerse the burn in cold water and leave it there to cool. Gather lint from a clothes dryer then place it in a cardboard egg carton. Fill the container cautiously with melted wax adding some of the string, or leaving a bit of the lint on the wax to act as a wick. Then save some small candle stubs. Place them in several layers of waxed paper and twist the ends.Tightly roll up a newspaper every two to three inches and tie it using string. Cut the paper between the string sand dip it into melted wax. Your fire starter is good to go. What better way to hold that memorable ceremony than in the outdoors. It’s such a great way to make nature be part of your long lasting memories. Imagine inviting friends and family out camping to attend your wedding. It’ll be a double thrill and will evoke lifetime memories. The natural environment provides great décor for your occasion. Hiking just for the sake of getting from point “A” to point “B” is a worthwhile exercise. You can make it much more interesting if you give yourself something to look for or do along the way. Set aside enough of your day to get the time it takes to enjoy time on the hike. Scavenger hunts are a great approach to get active and looking at the world around you. Whether in a campground, by a sea shore, in a park or at a residential camp, you can look and find things of interest. Remember never to harm nature, and where picking or moving items are not permitted, you are encouraged only to take pictures of your finds. Give yourself ample time, and choose the number of items to find that makes sense for your environment. Make a game out of clean up. 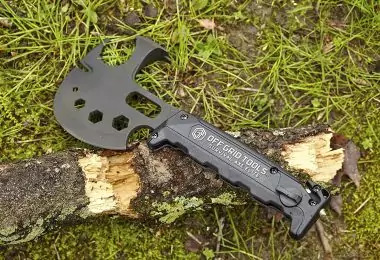 Give the kids some tasks like finding any debris at the campsite that doesn’t belong. Kids love scavenger hunts too. Always make more than one watering stations surrounding your site. You should also setup a washing station using tap water – this is great to keep everyone clean. You should consider putting the cooking station close to this washing area – this way you won’t have to take long walks to wash up vegetables and fruits. If, by any chance, you manage to setup camp near a stream, then you’re in luck! You can use the water for washing and you can keep any bottles or cans out of the summer heat. Just make sure you anchor them well, otherwise you will remain thirsty and hungry as the stream will take them. You can never go wrong with having an extra piece of rope with you! Regardless of the fact that you prefer it as a paracord bracelet, or a simple rope stuck somewhere in your backpack, you should have it! For instance, you can create a string to dry your clothes and other items – just find two trees close enough to fit. You can also hang a tarp over it and create a temporary shelter is it starts raining out of nowhere. The difference between a sing-a-long and a campfire is just the amount of organizing that goes into sitting around the campfire to enjoy singing. A sing-a-long is when everyone suggests songs, in no particular order, for the enjoyment of singing. A campfire is an evening “event,” usually planned by 1-3 people, with a theme that ties in with your camp and songs, stories and skits put into order to open, build, have fun, calm down and close the evening. Compression bags are your friend, not foe. They are perfect for acting as sleeping bags, clothing, and pillows. This is because they help compress the contents to save valuable space. Stuff a compression bag with additional clothing to make a lovely comfy pillow too. Camping is another great way to escape from the stress and busyness of everyday life, so take it easy. Use this period to catch up on lost sleep there is no need to set the alarm. Relax, let the rest of the world fade away with these great ideas for chilling out. Pets too enjoy fun just as much as you do. Play games, go hunting and take a walk with your pet. However, you will need to check out various campgrounds to ensure they are pet-friendly. Take time to find out what types of facilities they have onsite like drinking water and off-leash areas. Take a chance to see whether there is a limit to the number of pets you can bring or a size restriction. Make sure to obtain a current copy of the pet’s records and the vet’s phone number in case of any emergency. Endeavor to see that your animal is wearing a tag with its name, your name and your phone number. Don’t let your pet to eat strange things off the ground. What better way to make new acquaintances than with those with whom you share the same camping passion. Meet other campers, talk and socialize with them. You will meet fascinating people while in the outdoors. Some of these new friends will continue to keep in touch. More so, you can invite friends and family to go with you. Let the kids ask some friends to help keep them occupied too. Bring lights and decorations make your campsite look cheery. So, bring an extra headlamp to set the mood. You have to loop the headlamp around a Nalgene bottle or a gallon jug with the light facing into the middle. It creates a very cool nightlight and looks great with different color bottles. If you have a favorite family color, then you can use that. A decent pocket knife on you at all times is a great asset. You need to keep this on you the whole time. With a decent multi-tool, you’ll always be able to open a beer or wine bottle. Well, if you can do that you’ll make friends quickly. More to that, you’ll have a tool that can cut stuff, sharpen things, screw, open tins, unscrew, pick teeth, you name it. It’s quite simply essential. Some of the best brands you can always trust include Victorinox and Leatherman. Make meal time easier in camp by preparing your ingredients at home. Always chop, dice, measure, and mix what you can in the comfort of your home kitchen. Prepping at home enables packing and transporting what you need for each meal. Make notes after each trip to adjust your recipes so that the next trip will be spot on. Break meals down into several servings. In camp, you can prepare all meals or what you need if the number of people you are feeding changes. Consider meals that use common ingredients. This way, you can minimize the number of components that you have to bring. For example, last night’s leftover baked potatoes make delicious home fries today. If you have to leave your tent in the evening, leave the torch or lantern on at low level. When you return in the dark, the light will help you adjust to the darkness of the tent. You will also be in a position not to trip on anything when moving. A rechargeable or wind up lantern is perfect for this. The simplest way to make sure you and the kids don’t get bored while camping is to camp somewhere with built-in entertainment. Many campgrounds offer amenities that keep you occupied. Look for these activities when deciding where you will stay. Pick a location that offers something your family enjoys doing. If you camp at a tourist spot or near an attraction like an amusement park or a natural wonder, you will surely have plenty to do. There you have it. Now you have no excuse for you to miss out on the fun while camping. Got one of your camping tips to add to this? Think you would like to improve and refine one of the above? Then please let us know in the comments below.